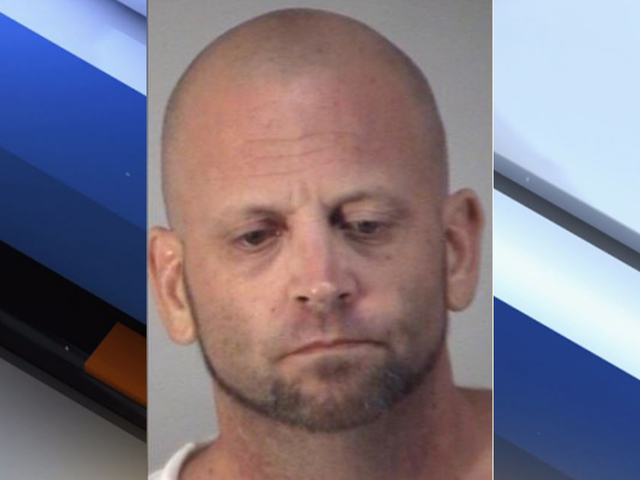 POLK CITY, Fla. — The Polk County Sheriff's Office arrested one suspect wanted for a burglary and kidnapping, but say the other is still missing. The sheriff's office says 32-year-old John Neal and 42-year-old Charles Perry drove away from a Polk City home with the owner still in their car after he caught them stealing from his property. The victim confronted the men and attempted to get his stuff from the back seat of their car when they drove away. Deputies say Neal was arrested and booked into the Lake County Jail. However, deputies continue to search for Perry. The victim says the men beat him and tried to take his cellphone. They also talked about throwing him out of the moving car while they drove down the highway, according to the sheriff's office. He says he convinced them to stop and he was able to get away. Security footage shows the men going through stuff on the property and loading it into their car. Then a truck enters, hitting the car with the suspects in it and you see the property owner get out. The video shows the suspects drive away as the property owner attempts to get his belongings back. Both men are facing charges for kidnapping, tampering with a victim, robbery, attempted burglary dwelling and burglary structure. The sheriff's office says the charges have no bond. Neal's criminal history includes 23 felonies and 5 misdemeanors, including charges for grand theft, forgery and assault/battery. Perry's history includes 1 felony and 2 misdemeanors. If anyone knows the whereabouts of Charles Perry, please call the Polk County Sheriff's Office at 863-298-6200 or if you'd like to remain anonymous, you can call Heartland Crime Stoppers at 1-800-226- 8477.